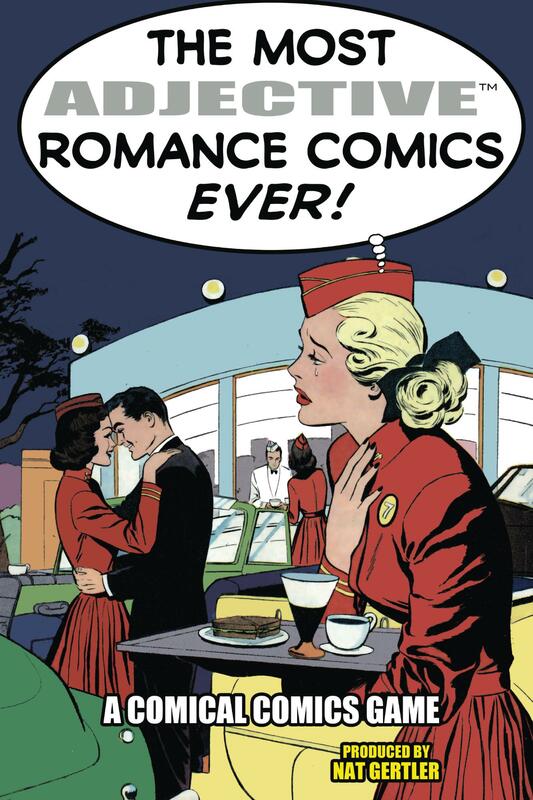 The Most ADJECTIVE Romance Comics Ever is a great new creative comical comics game! By adding words (an ADJECTIVE here, a NOUN there, perhaps a BODY PART) to the dialog of a classic comic book romance story you haven’t seen, you create some of the wackiest comics ever. 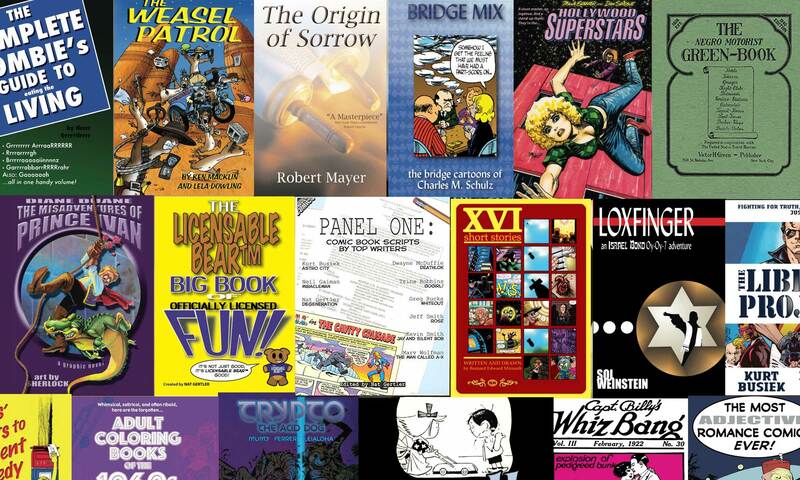 Each one-to-three page comic book story has plenty of these marked blanks for you to fill in. PLAYING WITH FRIENDS: One player reads off the word type noted in each blank (“Okay, I need an adverb… now a number… now a movie star…”) and fills in the answers that the other players call out. In a few minutes, you have a completed story for all to share and enjoy! PLAYING SOLO: In the back of the book, there’s a form sheet for each story with all of the word types listed. That way, you can choose your own words without seeing where they go, then copy them into the story to see the hilarious results! 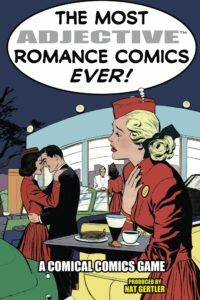 Order The Most ADJECTIVE Romance Comics Ever on Amazon.com!